Or cry out to you, "Violence!" but you do not save? February 16th, 2014 would have been Jordan Davis's 19th birthday. Instead of celebrating, his family mourned his death and grappled with the news that his killer would not be convicted of first-degree murder. Two years ago, Davis (17 years old, at that time) and his three friends drove to a gas station. Their music was loud, and Michael Dunn objected. He demanded they turn down the volume. They refused. He yelled, they taunted back. 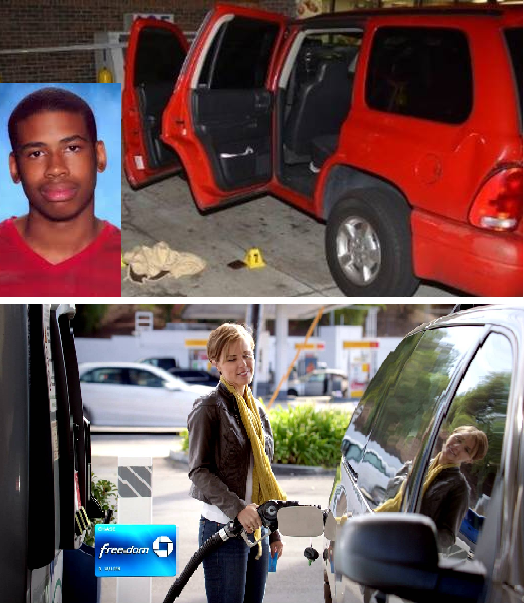 Then Dunn pulled a gun and fired ten rounds into their car, killing Jordan Davis. The boys never got out of their vehicle, and no weapon whatsoever was found inside. Who gets to decide the difference between an obnoxious teenager and a dangerous criminal? Kill-At-Will laws (aka Stand-Your-Ground), and those like them, encourage citizens to shoot first, and ask questions later. 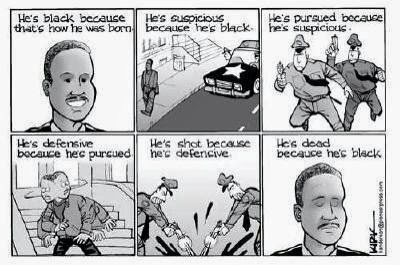 In a world where black boys are stereotyped as violent criminals, race makes all the difference. Dunn initiated a violent encounter. He could have simply walked away and ignored the car's stereo. When the boys refused his request to lower the volume, he again could have simply walked away. Dunn chose a different option. It is worth asking why Davis's music so enraged Michael Dunn. Why did Dunn feel so put upon? Did he feel disrespected? Did he feel the need to put 'uppity' black boys in their place? while the other is deadly? Dunn objected to what he termed Davis's "thug music." When some words become un-PC, they are often simply replaced with new racialized dog-whistles. When is the last time a white person was called a thug? We need to understand what is really being said. Imagine the scene if the rowdy boys in the car had been a different race. Or what if music had been a different genre (see video: Retta Rolls on Conan)? Would Dunn have been just as incensed? Maybe, maybe not. But the racial coding underlying the interaction is unmistakable. Jesse Williams notes that there “is a tradition in this country when people are able to go ahead and kill Black people because they got sassed, because we were inconvenienced, and we become a victim of a fantasy.” He went on to assert that "feeling threatened is not the same thing as being threatened”--and racial bias is key. Davis's mother notes, "Jordan had no guns. He had no drugs. There was no alcohol. They were coming from the mall. They were being kids." He had a mother and a father who loved him, but a nation that feared him. Davis did not survive his encounter with Michael Dunn. And no amount of 'family values' or moral upbringing could save him. So what about the rest of us? No, we probably would not have pulled a gun. But might we have turned up our nose and those boys in the car? Or maybe shot a bitter glare in their direction? Might we have clutched a purse? Or simply noted them as suspicious? Read some of the statements that Dunn made in his letters from jail while he awaited trial. Then pray for all those like him who are fearful--who fear the youth who are the promise of our nation's future. Let us pray for ourselves that God may bind up our own fears and prejudice. And pray for our families and children that they may be shielded by God's protective arms as we go about our lives. If a white man wants to lynch me, that’s his problem. If he’s got the power to lynch me, that’s my problem. Racism is not a question of attitude; it’s a question of power. Note also, how Dunn's case sharply contrasts with that of Marissa Alexander, also in Florida, who was sentence to 20-years in prison after firing a warning shot into the ceiling while being advanced upon by her abusive husband. She was denied a Stand-Your-Ground defense. I completely agree with this but am a bit confused. Doesn't first-degree murder mean premeditated murder? And wasn't Dunn convicted of second-degree murder? In this particular case, it seems to me that the issue is that the jury couldn't objectively find that the murder was premeditated and not an act of immediate passionl. Oh. I just checked the details again, and he was found guilty of "attempted murder." That's just stupid. He did murder someone! It should have been second-degree murder. Dunn was convicted of three counts of attempted murder for the other boys that were in the car. The mistrial was on the count of first degree murder of Davis himself. The jury actually had the option of convicting him on a lesser charge (either 2nd degree murder, or even simply manslaughter), but they did not do so. Which mean if Davis happened to be driving alone that day, Dunn wouldn't be convicted of anything at all right now. Regarding overcharging, if the defense felt like Dunn was being overcharged with regard to first degree murder, they could have filed a motion to dismiss from the very beginning. The fact that Dunn instigated the interaction and persisted when it escalated was part of the justification for murder 1. The argument is that to fire the gun, Dunn had to not only retrieve the gun, but upholster it, load it, etc.--not just a knee-jerk grab and fire. Most damaging, was the fact that there were several bouts of shots, demonstrating Dunn's persistence. Even after the boys reacted to the first round of shots, Dunn kept coming after several pauses and more bouts of shots. But again, even if the case was overcharged, the jury still had the option of convicting him of some lesser charge for Davis's death. They did not. Oh, I see. Thank you so much for clarifying. My mouth is hanging open from the injustice of this. Johnathan Hall asks, "How comfortable are you talking about the Michael Dunn verdict with someone who doesn't look like or live like you? The amount of discomfort you feel in contemplating that question is directly proportional to the amount of work we as a society have to do to heal from the legacy of abuse this country inflicts on each successive generation." This kid didn't deserve this. I hope Michael Dunn, will come to his senses in prison and thinks about his horrible decision when he killed this boy. He felt like he was putting those kids in their place. His hatred is what drove him to this madness, that he thought was his right and priviledge. hi Mary! Glad to see you joining the discussion and adding your comments here!